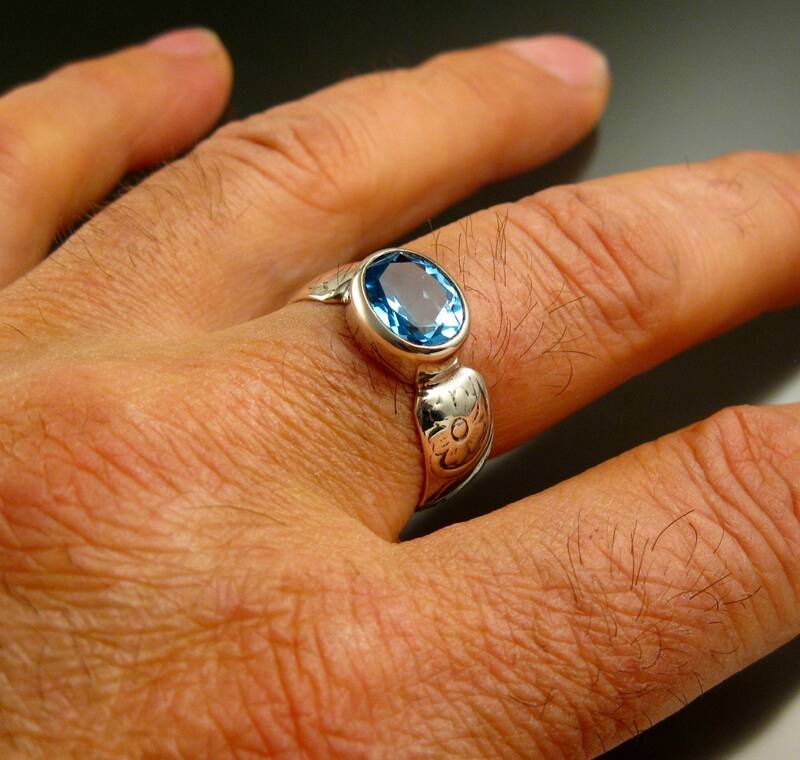 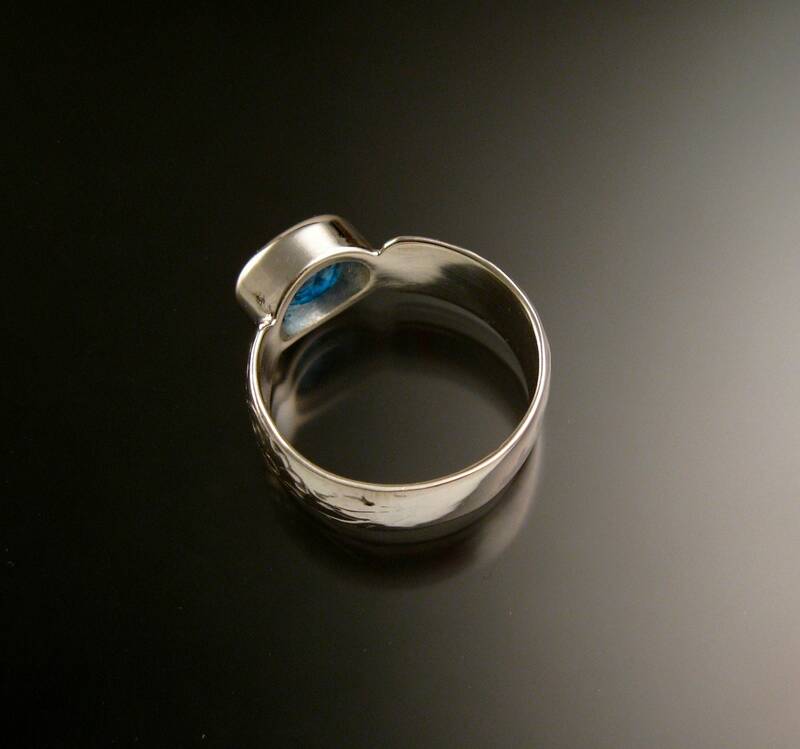 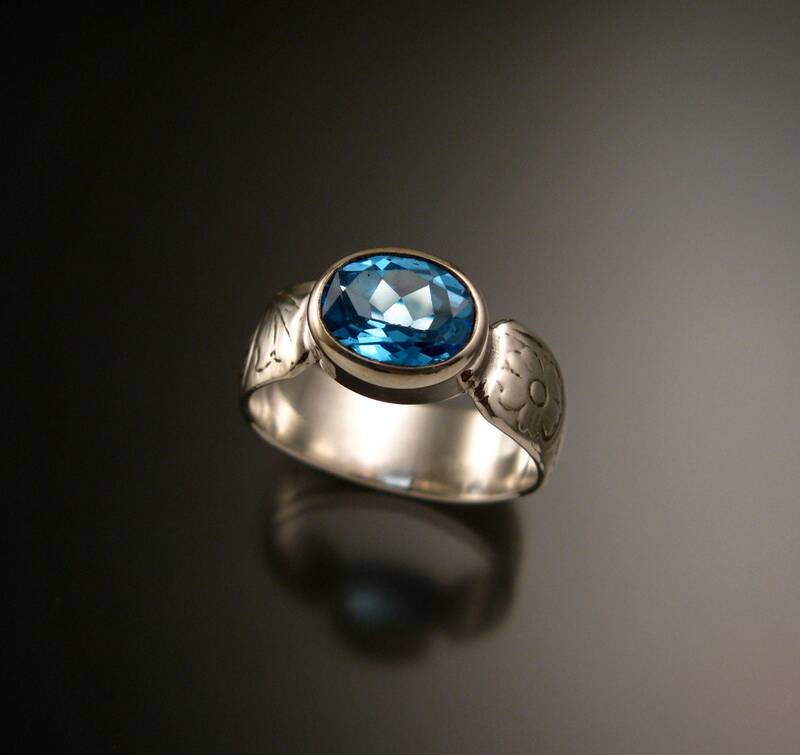 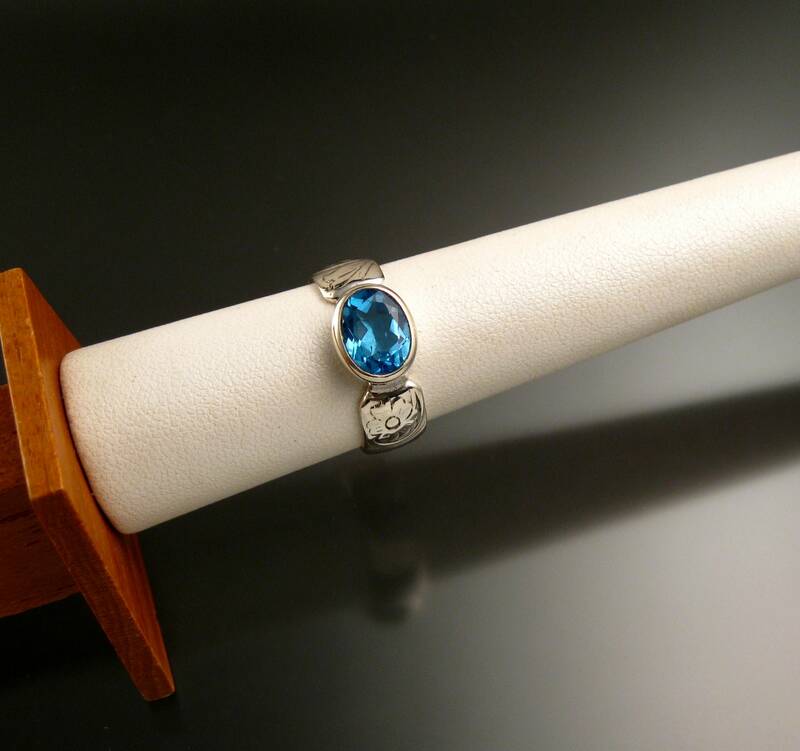 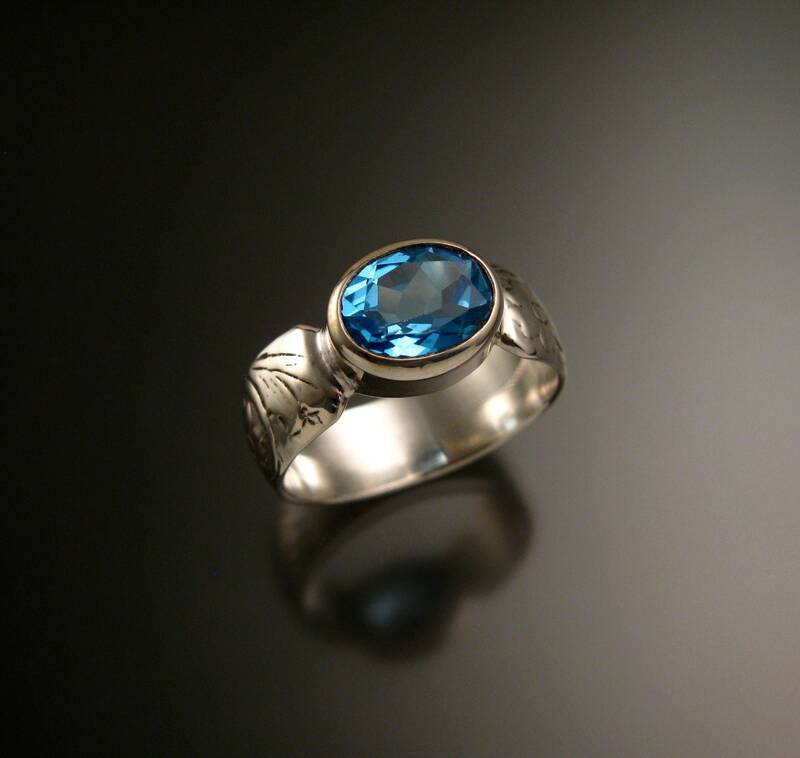 This 8 x 10 mm Natural Sierra Blue Topaz is bezel-set in sterling silver with 7mm wide by 1.7mm thick victorian floral pattern band. 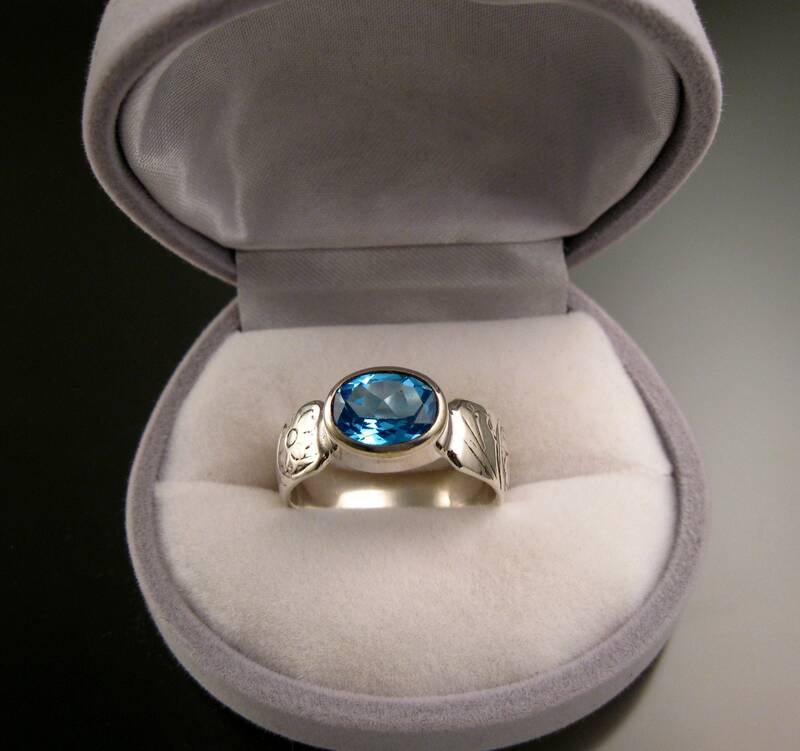 These are large beautifully cut Glacier blue stones from Brazil. 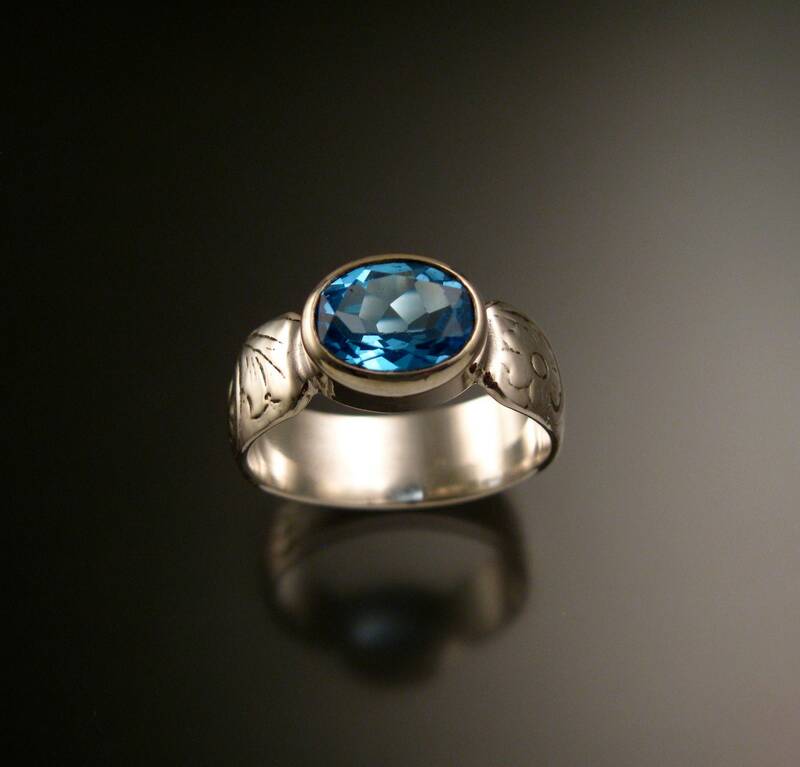 I can make this ring in any size between 5 1/2 and 9 1/2. 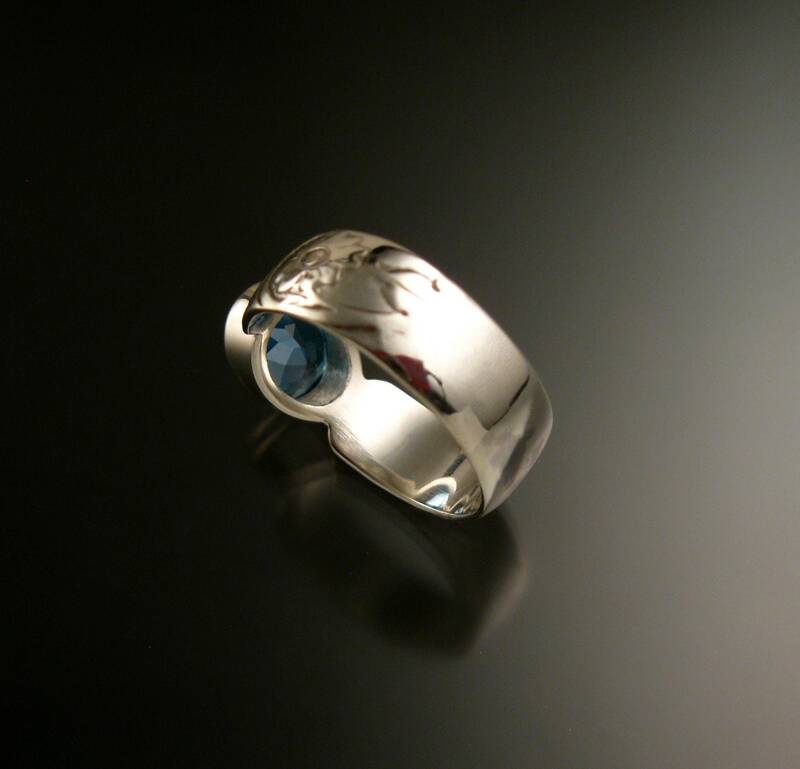 Sizes over 8 will have smooth section at the bottom of the band as pictured.